With 2006’s “Dimevision Vol. 1: That’s The Fun I Have”, fans of “Dimebag” Darrell Abbott and his work with PANTERA and DAMAGEPLAN were afforded the chance to see into the world of the legendary guitarist. Compiled from the many, many hours of video footage captured between the mid-’80s and his later years, it was a funny, touching and poignant memorial. 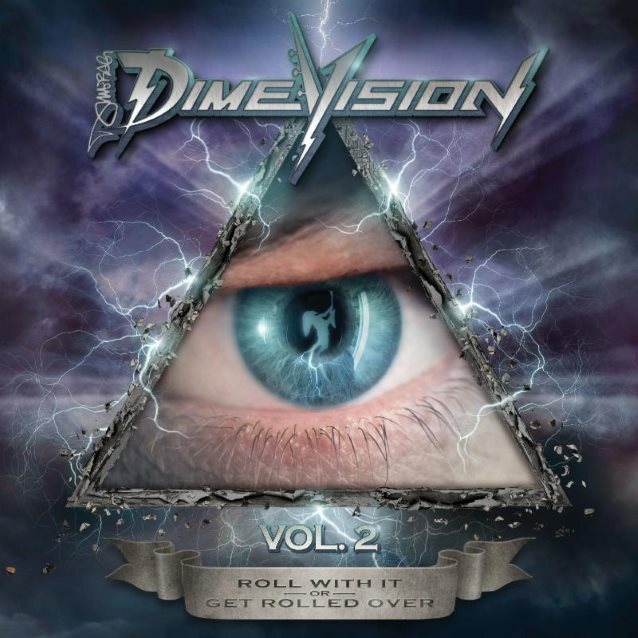 Metal Blade Records has now announced the release of “Dimevision Vol. 2: Roll With It Or Get Rolled Over” — another true celebration of the man and how he lived his life — on November 24. Pre-orders are available at this location. The DVD/CD set — which will include more raw footage, true gems and classic Dimebag moments — will also include five previously unreleased demos, picked from a vast catalog Dimebag accrued since longtime girlfriend Rita Haney gave him his first four-track in 1984. 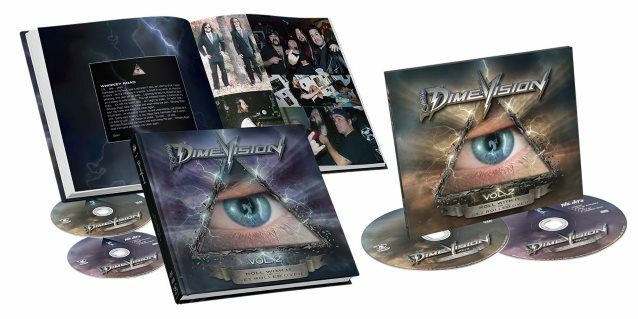 Fans of Dimebag, PANTERA and DAMAGEPLAN who have had the opportunity to watch “Dimevision Vol 1: That’s The Fun I Have” know it is a funny, touching memorial. “Dimevision Vol 2: Roll With It Or Get Rolled Over” continues this tradition, and today, Metal Blade, Rita Haney and Daryl “Bobby Tongs” Arnberger are pleased to share one of the funniest clips from the set. Watch Dime take part in an “interesting” CPAP machine fitting in the clip below. She adds: “I had just rolled outta bed and the doctor fitting Dime was about an hour early for his appointment. Dime and ST were still up partying, so, of course, things never go as planned in Dime‘s world! Going into making “Dimevision Vol. 2: Roll With It Or Get Rolled Over”, Haney worked in collaboration with Daryl “Bobby Tongs” Arnberger, who was not only one of Dimebag‘s closest friends both on and off the road, but also worked as an official videographer for PANTERA, DAMAGEPLAN and a plethora of A-list musicians, from SLIPKNOT to Dolly Parton, along with film editor Rob Fenn. After cataloguing hundreds of tapes, they chose 43 segments to create “Dimevision Vol. 2”.